Carl Van Vechten (1880-1964) was an American writer and artistic photographer and the literary executor of Gertrude Stein. He was a patron of the Harlem Renaissance. This entry was posted in biographical (including posts with fragmentary but potentially useful biographical information about Dreiser, his family, or associates), reminiscences by contemporaries, friends, and fellow writers and tagged シオドア・ドライサー, シオドア・ドライザー, シオドー・ドライサー, シオドー・ドライザー, セオドア・ドライサー, セオドア・ドライザー, Carl Van Vechten, теодор драйзер, Theodore Dreiser on March 20, 2018 by Roger W. Smith. Note – the Word document below containing the article by Roger W. Smith on which this post is based has been updated as of March 16, 2017 with some new content based upon news accounts appearing in Chicago newspapers in February 1886. 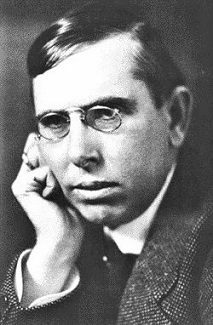 Theodore Dreiser drew heavily on real life incidents in writing his first novel, Sister Carrie. The main persons behind the story were his sister Emma and her lover, Lorenzo A. Hopkins. I have done some investigating attempting to dig out more facts about Emma, about Hopkins, and about their relationship and children. There is much confusion despite what scholars have already managed to uncover. Dreiser himself gave sketchy accounts in his autobiographical writings. I was aware that Hopkins’s wife, before he became involved with Emma Dreiser, was named Margaret and that they had one child, a daughter named Maria, who around 18 years old when Hopkins stole money from his employer in Chicago and absconded with Emma. There was a Margaret Lutz, a married woman who seemed to be right age as Hopkins’s wife, who was murdered in 1900 — 14 years after her husband absconded — by her brother-in-law and who was, at the time, living just down the street (on the same block) from where she and Hopkins were previously living. Could this be the same woman as Margaret Hopkins, who had remarried a man surnamed Lutz? It turned out that it indeed was. The key to proving this was that I recently found records of Margaret Hopkins’s divorce from her first husband, Lorenzo Hopkins, and her marriage to Alfred Lutz around eight years before she was murdered. Attached below as a downloadable Word document is a new article of mine about the case and its relationship to the portrayal of Hurstwood and his wife Julia in Sister Carrie. Also posted here below as a downloadable PDF document is a brief genealogical report for Margaret (Menkler Hopkins) Lutz. This entry was posted in biographical (including posts with fragmentary but potentially useful biographical information about Dreiser, his family, or associates), Sister Carrie and tagged Alfred D. Lutz, Alfred Lutz, シオドア・ドライサー, シオドア・ドライザー, シオドー・ドライサー, シオドー・ドライザー, セオドア・ドライサー, セオドア・ドライザー, Charles E. Lutz, Charles Lutz, Filmore Lutz, L. A. Hopkins, Lorenzo A. Hopkins, Margaret Lutz, Margaret Menkler, Margaret Menkler Hopkins, Margaret Menkler Lutz, теодор драйзер, Roger Smith, Roger W. Smith, Theodore Dreiser, Theodore Dreiser Sister Carrie on March 1, 2017 by Roger W. Smith.